As the top eCommerce plugin on the WordPress market, WooCommerce often needs no introduction. However, for those who aren’t familiar, it’s rather simple. WooCommerce turns any WordPress website into an online store. That’s it. You can create product pages, choose a theme, generate a beautiful shopping cart and even sell digital products. What’s more is that WooCommerce is opensource, so you don’t have to pay a dime and lots of developers are constantly contributing to the plugin. As a result, developers come out with additional add-ons and plugins, strengthening WooCommerce and offering more features for marketing, payments, shipping, store management and much more. Seeing as how the world of WordPress and WooCommerce can get a little cluttered, we want to walk you through some of the best WooCommerce add-ons and plugins so that your search isn’t all that tedious. Keep reading to learn about the best of the best, and feel free to talk about some of your own favorites in the comments section after the article. As you’ll start to notice, many of the extensions for WooCommerce are actually developed and sold by the WooCommerce development community. This means you can find them all on the WooCommerce website. However, there are also plenty of other options available from third-party vendors. The WooCommerce Subscriptions extension is a popular one from WooCommerce, with the ability to configure multiple billing cycles and bring in recurring revenue. For example, you may have a video on-demand website with training videos for gardeners or guides for learning WordPress. In this case, the extension lets you accept automatic payments, display the products like you regularly would in WooCommerce and give subscribers the options to manage their own plans and profiles. 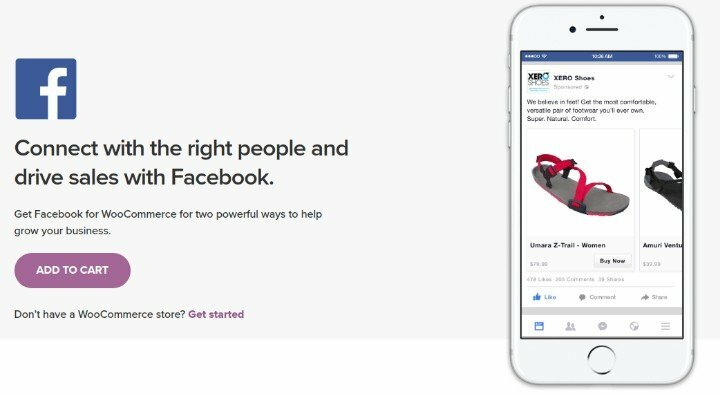 The Facebook for WooCommerce extension is a rather new addition to the WooCommerce arsenal, offering the ability to generate Facebook ads and find more people who might be interested in your products. It works by syncing with your current product selection, making it much easier to produce those ads, instead of uploading new product images and links every time you need to post a Facebook ad. Along with the Facebook ad tool, and the fact that this is a free extension, the Facebook for WooCommerce solution helps you create your very own Facebook page with items in the shop for people to browse and purchase. Once again, this eliminates the need to insert new images and product details, since it’s already there in your website. What’s more is that it offers mobile-friendly shopping, merchandising and re-marketing options. 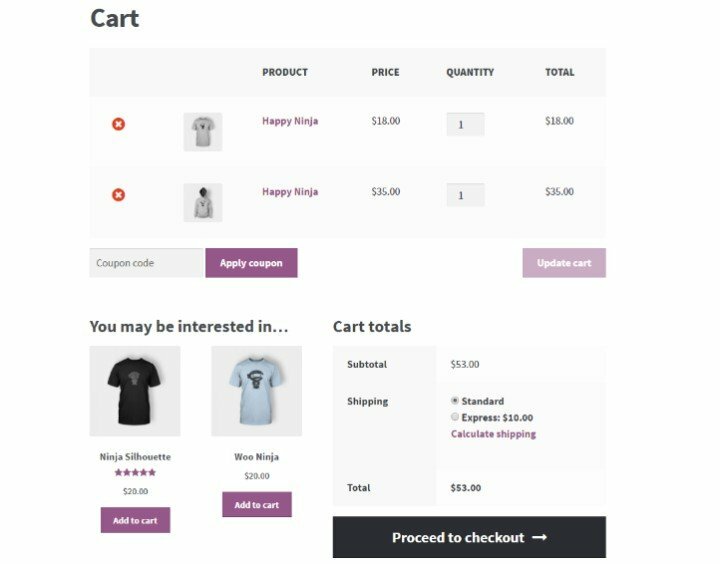 Consider the WooCommerce MultiStep Checkout Wizard if you’re thinking about cleaning up the way your current checkout and shopping cart looks to the user. Sometimes your users don’t realize exactly when the checkout process is going to end. But if they see whatever steps are left in the process, they are more likely to continue. Therefore, the WooCommerce MultiStep Checkout Wizard plugin creates a beautiful interface that reveals the steps they have left. You can change around the colors and positions of the steps, turning the checkout into a more branded interface. Not only that, but it lets you show off everything from billing to coupons to shipping and payment info. Seeing as how many stores lose customers in the checkout area, this plugin is one of the essential tools you can implement to get rid of all of those pesky abandoned carts. Customers like the idea of customization, but you don’t get that much support for additional product add-ons through the default WooCommerce platform. Therefore, the Product Add-ons extension allows for everything from radio buttons to input boxes. 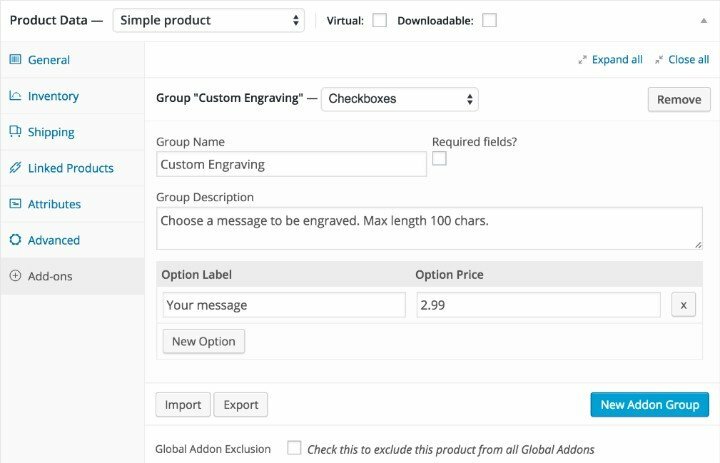 For instance, you might provide options for custom engraving where the customer punches in the line of text they want in the engraving. The add-ons are limitless, seeing as how they even have tools for file upload buttons and custom price inputs. A developer would be able to create an entire service-based eCommerce site just because of this tool. The clients would buy the products and upload whatever files they have for logos, designs or instructions. This one is rather simple, but it empowers shop owners to take control of their store’s information and even pass around details to other stakeholders. 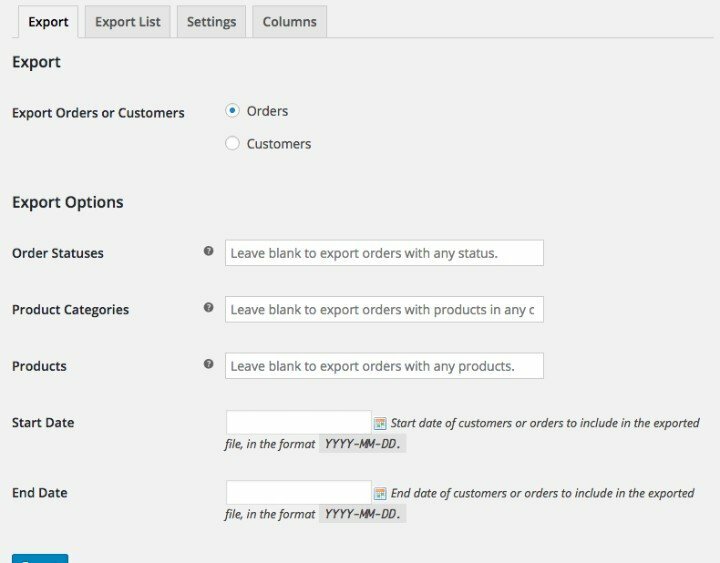 The process is basic, using a quick button to export either order or customer lists. This way the webmaster can see an entire list of all of the customers with their specific details like contact information. You can also use this for orders, which is particularly useful for a handful of reasons. One instance where you might want to use this plugin is when you’re searching for a fraudulent charge or maybe you’d like to ask your employees questions about recent orders. The extension has a wide range of features, but one of my favorites is the automatic exports, where it sends the export to FTP or email. Product bundles are known to boost the number of sales you can make while improving your revenue with each of those sales. Basically, a bundle packages together multiple products, often giving the customer a discount when they opt for the bundle instead of individual items. This sells more items for you and your customer is happier since they saved a little money. 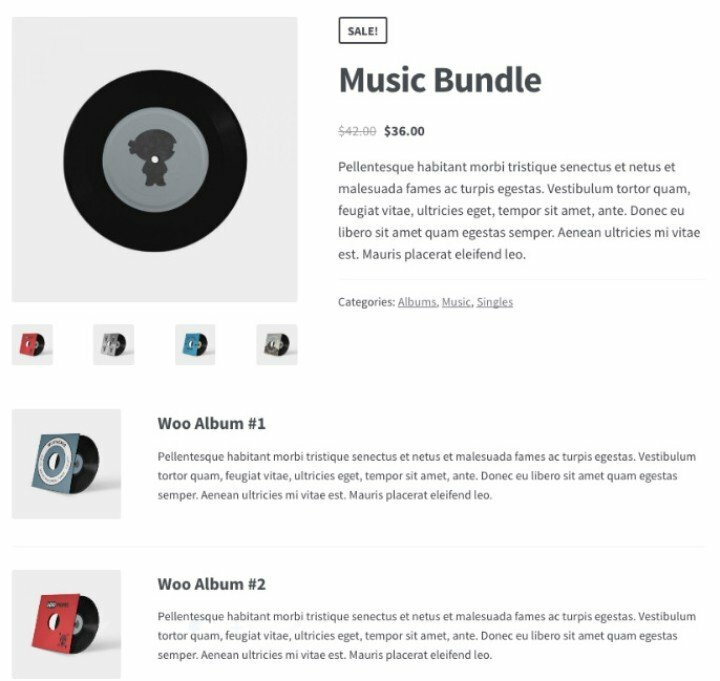 Subscription, variable and simple products are all supported through the Product Bundles extension, and you can sell anything from physical to digital products. Everything is customizable with this extension. For example, it allows for quantity changes and optional items for the customers. Since the Amazon Affiliate program is one of the most popular referral programs out there, it makes sense that the WooCommerce Amazon Affiliates plugin for WooCommerce is also one of the most downloaded plugins in relation to WooCommerce. If you’ve ever used Amazon for gaining affiliate revenue, you know how tedious it can get. Luckily, this plugin eases the pain with a Chrome extension and full dashboard, letting you quickly grab products and drop them into your store. The developers have included a tool that verifies whether or not a product is available for certain locations. They also have auto import features, options for bringing in quick images, bulk product imports and a beautiful area to see all of your stats. Along with custom themes and pricing variations, you can’t go wrong with this plugin as an affiliate marketer. Shipping is yet another difficult part of running a store, but the Table Rate Shipping plugin helps you out by delivering different shipping options based on certain conditions and pricing structures. The shipping titles and descriptions are nicely displayed for your customer, but you have full control over the complex tools in the backend. Some of the conditions you can play around with include dates, products, shipping classes, weight, dimensions and more. The Checkout Field Editor is somewhat similar to the Product Add-ons extension, but it’s more about offering more options during the checkout process. Checkboxes, date pickers, text and select fields are available for you to display on the frontend. For example, you might want to offer custom shipping dates for your customers. This is an interesting practice that removes the need for them to think about how many days out they are going to get their product. Therefore, they would simply select a date or type it in depending on the type of field. It’s a basic extra step that you can add to any checkout of your choice. 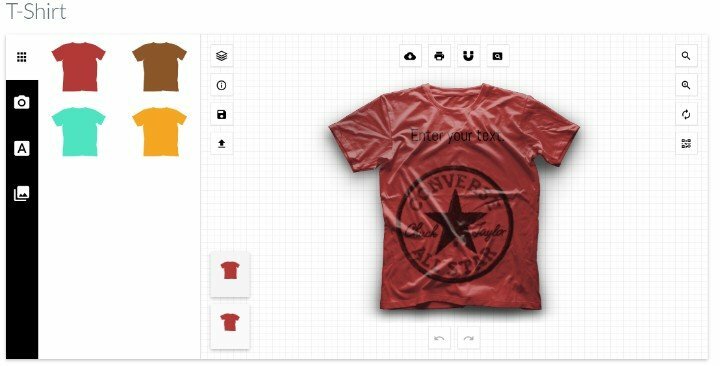 Although this plugin only applies to online customization stores, the Fancy Product Designer plugin is really cool and a quick way to install and activate a complete merchandise customization system. The tool can be embedded right into your WooCommerce website, providing all sorts of fields and buttons for colors, text, sizes and more. The plugin supports everything from t-shirts to mugs and pens to mouse pads. Basically, the Fancy Product Designer plugin has all of the tools for launching a full customization website. Oh yeah, and it integrates with your checkout system. It’s common practice to have shipping notifications running through your online store. Your customers want to see when they can expect to receive their products, so it’s a good idea to have emails sent to them explaining when the shipment is expected to arrive. WooCommerce offers the Shipment Tracking extension, which shows shipment tracking information on the frontend of your website after an order, as well as in an email that gets sent out to the customer. Custom tracking links are supported, but most of the large, reputable shipping companies like UPS, USPS and FedEx are all automatically generated. What Are the Best WooCommerce Plugins and Add-ons For You? Many of these WooCommerce plugins and add-ons are must-haves for every online store. For example, I like the Facebook for WooCommerce option, along with WooCommerce MultiStep Checkout Wizard and the Order/Customer CSV Export plugin. Some other plugins are more useful for niche sites, such as WooCommerce Subscriptions and Fancy Product Designer. I hope you enjoyed this post. If you did, you may want to see our guide on How to Setup an eCommerce Store with WooCommerce and roundup of best WooCommerce themes. Regardless, go through this list of the best WooCommerce plugins and add-ons and let us know which are your favorites in the comments below.